2. Anti-ageing Wood handle is easily rotten, iron handle is rusty, and alumium handle is easy to oxidate, while fiberglass handle is the combination of resin and fiberglass, it is corrosion resistant and anti-ageing. 3. Aesthetically pleasing appearance Compared with the simplex color of wood handle, iron handle, aluminum handle, the fiberglass handle can be made in many kinds of colors and produced with different surface, the appearance is more plentiful. 4. Environment friendliness Along with the forest resource protection, the use of wood handle will be forbidden gradually, much pollution will be made during the process of producing iron handle and aluminum handle. 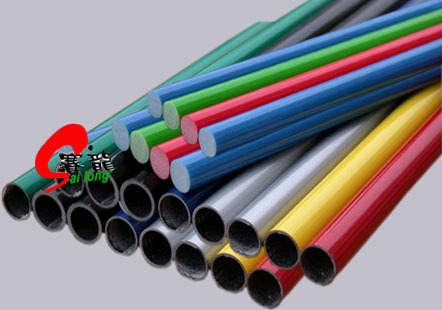 The raw material of fiberglass and resin are abundant, and producing technique is advanced, pollution is not existed.